There was going to be 2 cards today, but for some reason the second card wouldn’t upload..I will try it again next time, in the mean time here is this one…I made a DL size card which is a piece of cardstock 21cm x 21cm folded in half. 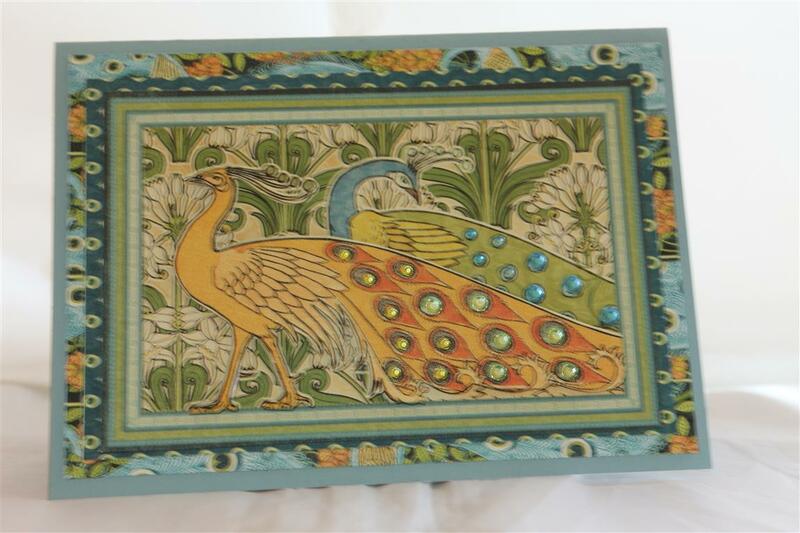 I wanted to fit both peacocks on the card so that was the reasoning behind that decision! 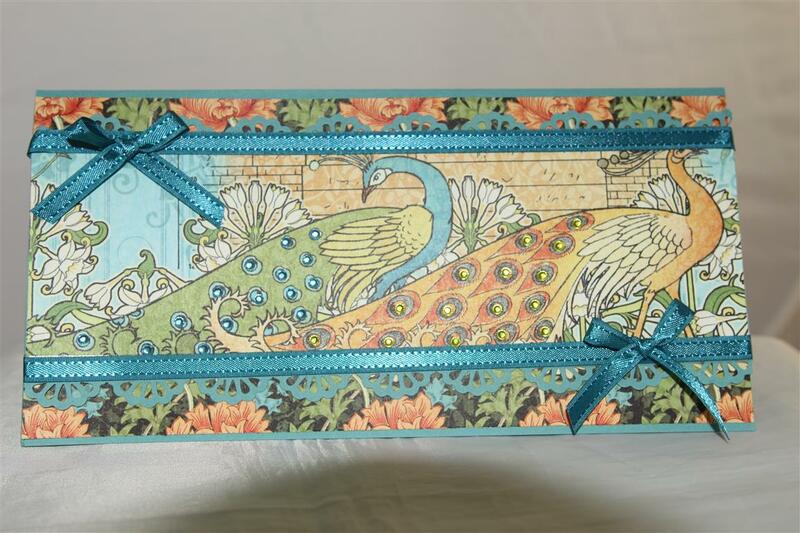 I punched a border with an EK success punch, and added some gorgeous satin ribbon ( stampin up) and lots of rhinestones to the peacocks tails.Til tomorrow…..
Two more cards made with graphic 45 Artisan style. I didn’t use too much embellishments with this paper – it really didn’t need it – there is so much going on -. 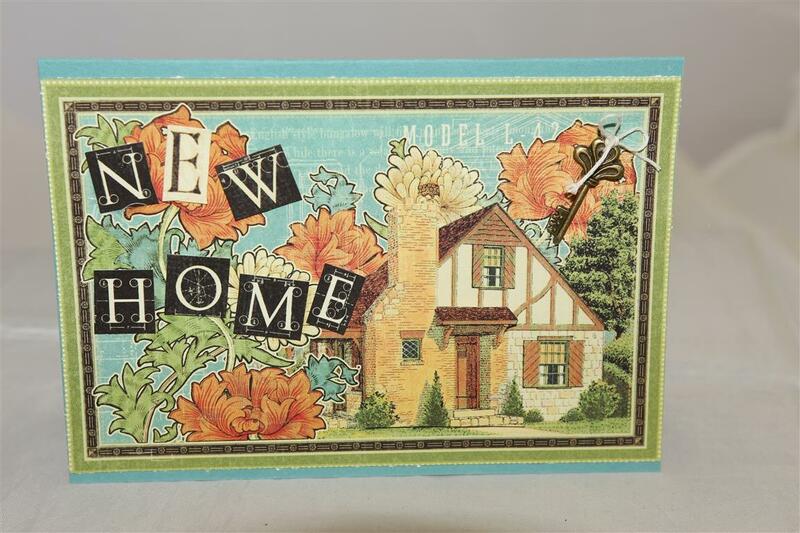 I had two pieces of the paper I used on the top card so I fussy cut small elements of the flower and popped them on top with 3d foam pads, and did the same with the bottom card – the chimney and front door is a second piece over the top held on with foam pads. I cut some letters out of anther piece of paper from the same collection for the new home wording, and stuck on a key embellishment. A nice relaxing weekend , very cold here though, so not too much happening in the craft room – very cold through there!! til tomorrow…. 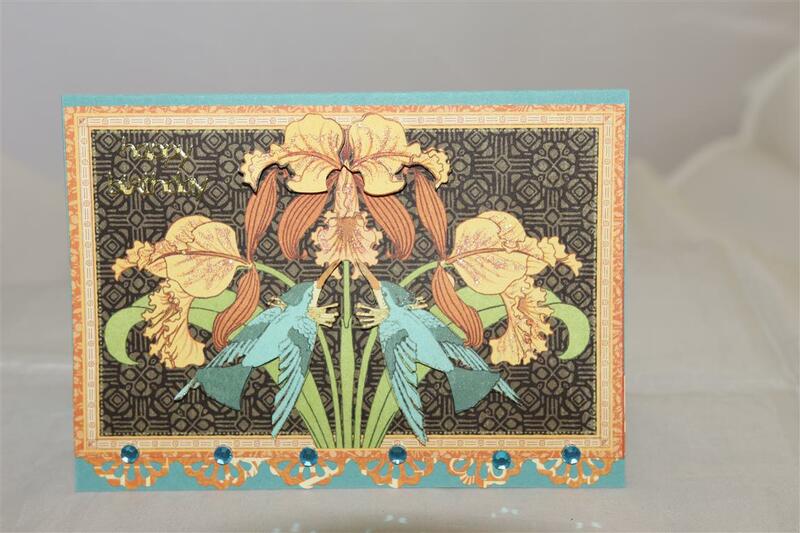 This is the card I made for my sister’s recent birthday,( because she loves peacocks) and the first card I made with Graphic 45 Artisan style. A very simple card – just lots of layering and bling! Over the next few days i will show you all what i did with the rest of this paper! glad it’s the weekend, and I am up to date with all my lessons, so Will be able to spend an amount of time in the craft room just creating. til tomorrow…..